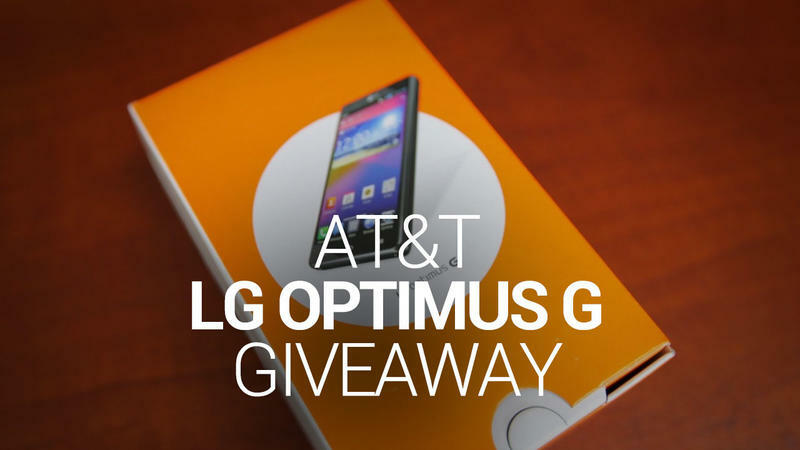 LG Optimus G Giveaway (AT&T)! The LG Optimus G doesn't even hit AT&T stores until Nov. 2, but that hasn't stopped us from teaming up with them to give one lucky reader this awesome new phone! With a 1.5GHz processor, 2GB of RAM, 32GB of storage and a True IPS 4.7-inch display, this is one gorgeous phone that anyone would be thrilled to own. And thanks to our friends at AT&T, you can by simply leaving a comment below! Off contract this phone retails for $549.99 ($199.99 with a two-year agreement) but you can have it for the low cost of just leaving a few words in the comments below. No service is offered with this giveaway, but if you are already an AT&T customer, or know someone who is, just slap a SIM card in, and you'll be good to go. This giveaway is open to only those in the U.S. as this phone is locked to AT&T. To enter, all you need to do is leave one (1) comment per day on this post through 11:59 PM PST on Thursday, Nov. 1, 2012. More than one comment per day will result in disqualification. The comment can be about anything. We do ask, however, that you login with either Facebook or Twitter so we have a way of communicating with you should you win. Contest runs through 11:59 PM PST on Thursday, Nov. 1, 2012. Remember, the contest closes 11:59 PM PST on Thursday, Nov. 1, 2012. Good luck, and here's hoping you win! If you can't wait to get your hands on the device, you can pre-order the LG Optimus G from AT&T right now.